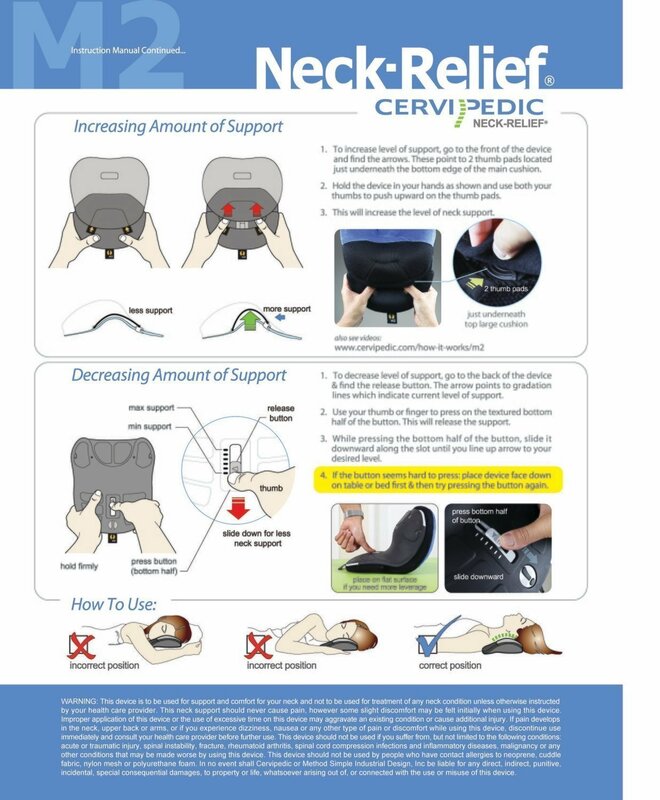 The CerviPedic Neck-Relief™ is a naturally shaped head support that relieves your neck. 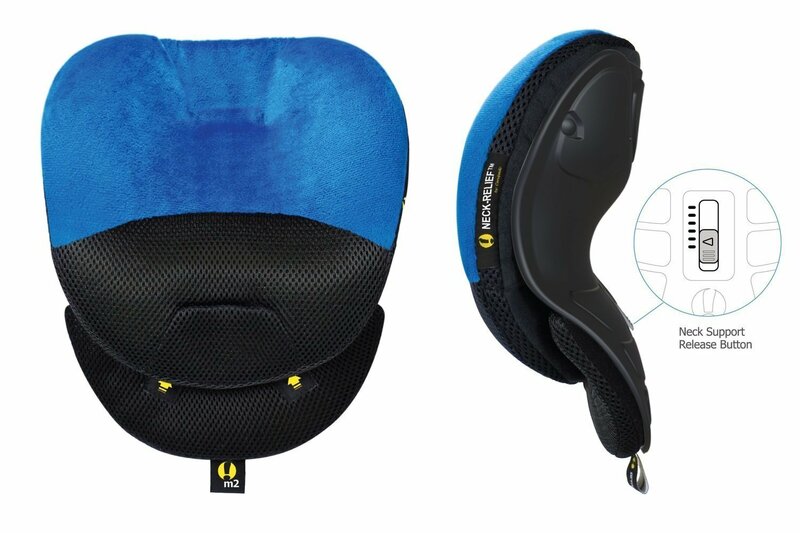 It was originally designed to ease the stresses of travel, but is actually ideal for anyone looking for relief from neck tension and stiffness. 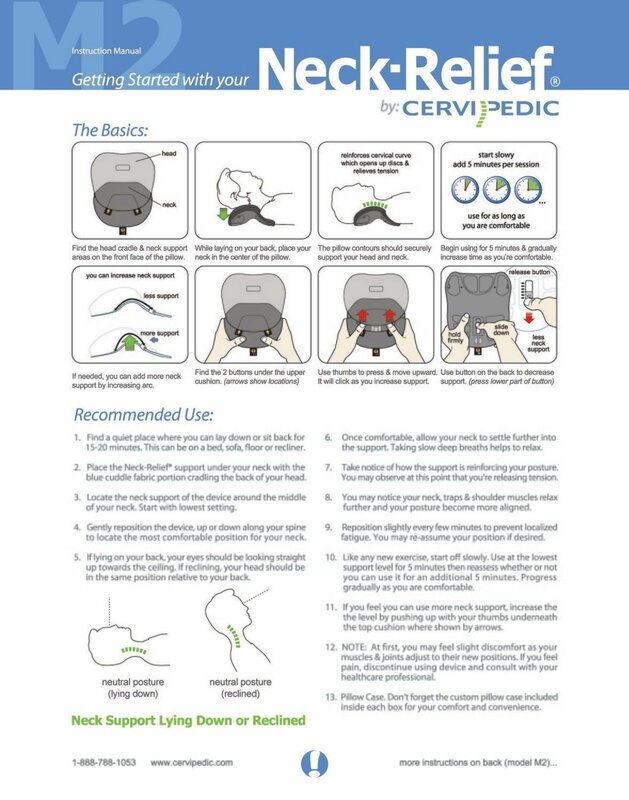 Specifications: Length = 11.5 inches, Width = 8.5 inches, Height = 3.5 inches, average thickness = 2.5 inches. Overall weight = 11.5 ounces.